Chop cauliflower into bite sized pieces. In a large bowl, combine flour, water, garlic powder and salt. Toss in cauliflower and mix until completely covered in batter. 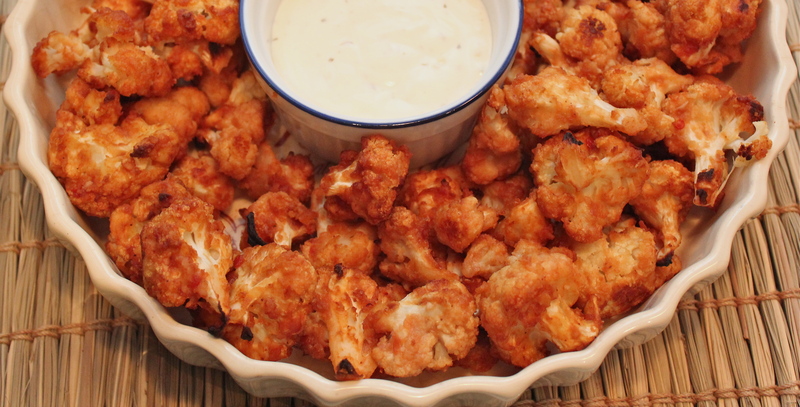 Place cauliflower on a lightly greased baking sheet and bake for 15 minutes, mixing halfway through. While baking, combine melted butter and hot sauce in the large bowl used previously. When the cauliflower is done, place it back in the bowl and combine with the hot sauce mixture. Bake for an additional 25 minutes or until it becomes crispy.